Unless your firm and Website address are well known, most company owners and individuals will use Google or Microsoft Bing to find an insurance provider by typing-in the insurance they require and maybe a location. Our clients benefit from being given their own business listing on The Insurance Broker Directory, showing their company contact details, location and product lines, Google map and thumbnail of the Website. Being a part of a large directory like ours gives each client a better chance of being found and a first page ranking. It is like having a dedicated search engine for insurance. The Insurance Broker Directory includes the details of hundreds of broker firms, located throughout the country. It records key word references to a wide range of commercial, specialist and personal insurance lines and major towns in the country to satisfy even the most specialised search. The ongoing expansion of The Insurance Broker Directory gives each participating firm, whether a listed broker or financial adviser, a real chance of being found on the first page of Google and Microsoft Bing. 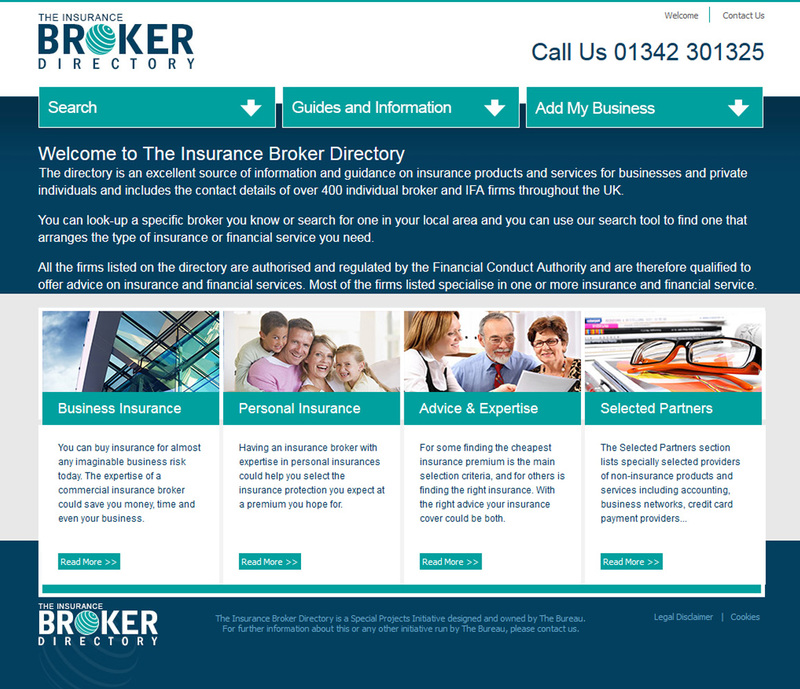 The Insurance Broker Directory: includes the details of hundreds of broker firms, located throughout the country.